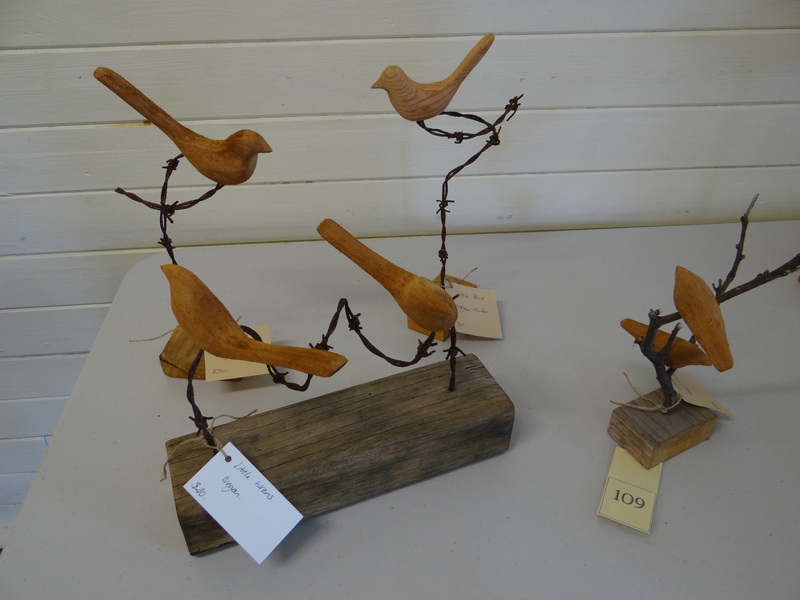 When visiting the Yarramalong spring festival in 2013 I was pleased to see these displays of wood sculptures at the Old Wyong Creek Hall. Wyong Creek is one of those rural areas where settlers found good soil in the secluded Yaramalong Valley east of Wyong in the Central Coast of New South Wales Australia. In spring it is a beautiful lush valley, now days with a lot of horse studs and hobby farms. The lifesyle is rural but with the comforts of urban life. Wyong Creek is only a few kilometres from Wyong and from one of the regions large shopping centers. Nardja expressed the desire for me to put some of her work on the Habitat Centre for the Arts web site so here it is. 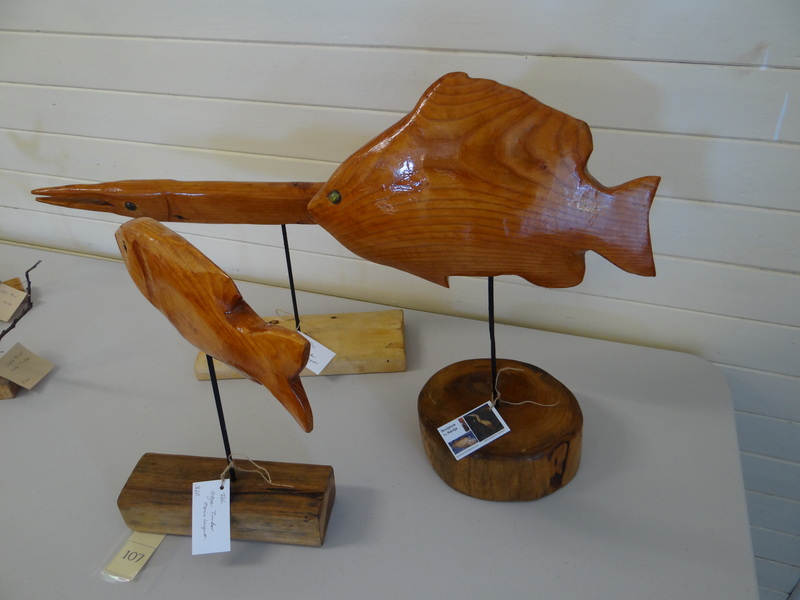 I particularly like the feel of shaped and moulded wood and Nardja does such a good job of producing these forms depicting fish and birds. One must remember that the sculpture is some what constrained in the shape of the finished sculpture in that the sculpture is largely dependant on the size and shape of the natural wood chosen to do the work. Nardja seems to have chosen well her materials because the interesting grain and flowing lined of some of her work is quite pleasant. Narjda can be contacted for commissioned work on wasthatduchamp@hotmail.com. The Habitat Association for Arts and Environment is about helping to promote art in our environments and encourage landscape designers to incorporate aesthetic design and art in our public and private spaces.